Greater New Orleans’ citizens are arguably the most flexible people in the country. We take turns with our fellow drivers on narrow cobblestone streets, we know the secret route to get to our house during parade season, and boil water advisories keep us on our toes. These are just a few quirks that make us curious to outsiders and unite us as New Orleanians. Another reason for us to band together is coming to a road near you! We will be facing drainage system improvements and road construction for the next five years. Funds from FEMA as well as our Department of Public Works have been designated and projects have been mapped through 2019, and we need to stay flexible (as we do) in the name of long-term infrastructure improvements! Along with those experiencing personal inconveniences and dissatisfactions, our local businesses on these routes are taking a hard economic hit. New Orleans businesses need to feel our support and the impact of local dollars now at this critical time of business disruption because they are the backbone of our city’s culture, economy and character. The Shopkeeper Stories series shares the vision and personality of New Orleans business owners. We hope you are inspired and continue to shop small and shop local—even if it takes a little extra time! 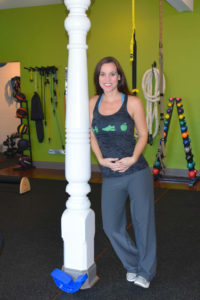 I trained people at several different gyms in New Orleans and I knew I wanted to have my own place where I could offer some privacy and greater customization to my clients. My clients really appreciate the personalized attention of a one-on-one gym. I’m a Special Education teacher by degree. I worked with kids with profound disabilities and liked the physical side of that—the therapies, the bracing, the swimming—so I wanted to put that into this career. I hope to expand one day and help people with special needs as well. That’s why we’re called All Inclusive Health! Describe your business in a few words. Real and personal! We are about being real and personal! We don’t make quick fixes or false promises or shakes or nutrition blends; we tell our clients that they need to eat real food and make real choices. There is no quick trick to attaining good health! The owners! They are involved in their communities, and it’s not about greed or who can make the most money. Our businesses are our reputation! We are presenting an artwork not just an open store. People’s opinion of the studio matters! I worked hard on it, and it was a true creation. I think most business owners feel that way about their stores, or their food, or their drinks – they are presenting a part of themselves and they want people to enjoy it! About 75% female and 25% male clients, mostly ages 25-45 though we have older and younger. A lot of locals who live in the neighborhood. 4D Clean Energy, made locally, full of vitamins, great for working out, and it’s the only supplement of any kind that the studio will sell. What’s your favorite local biz on Magazine Street? The Superfood Bar is great. Mona’s, Magasin, Rye always has stylish clothes! Surrey’s! Slim Goodies! This is my ‘hood! The No Fleas Market is my top favorite though! It’s a resale shop promoting animal welfare. When you drop items off, you get to pick which animal charity it goes to. I have a pit bull, so all my donations go to the Sula Foundation for pitbull rescue. They have great activities – like we got our dog’s picture taken with Santa or dog-painting for Art for Arts Sake where they would dip your dog’s paw in paint. The people there are amazing- great sales too! I love Slim Goodies—the Vegetarian Slammer! I love to go sit in the courtyard in the back; most people don’t know there is a great patio. There’s even chickens running around and you can ask them if they have fresh eggs from their chickens and they’ll make your breakfast with them! Watch your expenses! Don’t start too big. Overhead is going to be your biggest stressor. You can always grow– start small and manageable. You don’t want a month to month concern! Owning a business should be fun; too much stress can ruin even the best businesses. 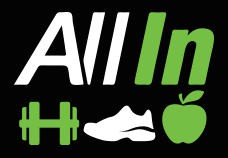 Learn more at allinhealthpersonaltrainingneworleans.com and connect with them on Facebook and Instagram. The Shopkeeper Stories are brought to you by StayLocal, the Greater New Orleans independent business alliance, in partnership with Uptown Messenger. This new series runs every first and third Tuesday of the month. StayLocal is devoted to raising the visibility and viability of locally-owned businesses across New Orleans through marketing, advocacy, and education. Learn about their work or become a member at www.staylocal.org or email info@staylocal.org.